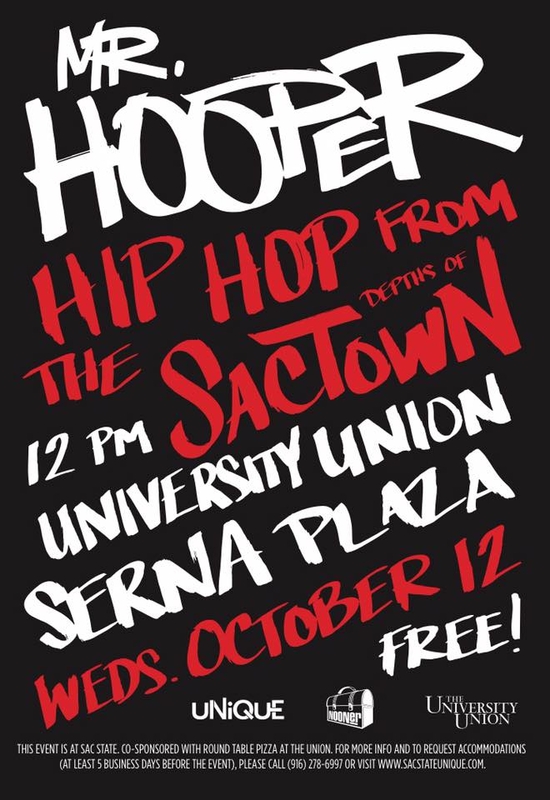 Sacramento State’s University Union UNIQUE Programs is pleased to announce a Wednesday Nooner concert featuring Mr. Hooper, a rapper representing Sacramento, CA. This event will be outdoors at The University Union’s Serna Plaza on Wednesday, October 12th, 2016 at 12pm. This event is free for students and the general public.